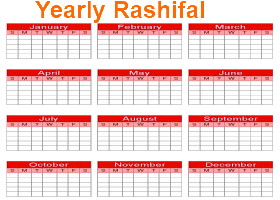 Astrology has been something very crucial for human beings as they get good results out of it and that to against spending affordable total. Astrological studies have provided firm support in making lives better. Such concepts need no more proofs as people who have benefitted from them are setting great examples for those who are still left for experiencing great outcomes out of it. Gemstones help individuals in getting a balanced living structure and make them reach a level of comfort from where they can achieve anything in life. The diamond represents the planet Venus which is also known as the shining star being in most shining object of the solar system. An individual with having Taurus or Libra sign must wear diamond for getting happy life. Diamond is the hardest gem known along with rated the most valued. The term diamond is derived from a Greek word adamas which means unbreakable. Amongst all gems, diamond is bitterly mined and rigorously directed. Despite being composed of pure carbon, diamonds gain hardness when compacted by great pressure and temperature in the upper mantle zone of the earth. Diamond plays a great role in jewellery as well being one of the finest stone amongst the gems. Jewellery products embedded with diamonds hold that capacity which is capable of attracting any individual on the very first sight. Since the ancient period till date, diamond jewelries are considered as sign of status and royalty. Diamond is said to be the very least naturally occurring gem. This stone had been applauded since years back and people will do the same for long continues years for its sparkling gleam which serves ornaments with an outstanding look and rich finishing. According to Vedic astrology, Diamond is the stone of Venus. The energy that diamonds claim from the planet Venus reflects major benefits when placed in the middle finger of the working hand. Those people who find themselves surrounded with negativity and find it challenging to perform basic activities in daily life should get a diamond as it serves individual with better confident personality and energetic vibes to stand strong and fight against difficulties. Diamonds play an essential role in structuring healthy future. The stone enhances one's capability to add more innovation to his/her thoughts and perfect execution of those ideas brings definite chances of tasting success. Regular connection of human mind with uneven circumstances makes decision making a typical task for them. Diamond stone once taken in use starts adding distances between the wearer and negativity thereby serving effective working conditions. Diamond wearer person is considered to have good habits which have capacity of getting appreciated in public. Diamond gem also gets the wearer attain reputed status in society and enough luxurious mediums for making life worth living. Gemstones are earning more and more trust from people with each passing year due to qualities of curing human diseases. Diamond gem is very helpful for people suffering from diabetes, sexual disorders, skin infections, urinary problems and many others. Gemstones require correct procedure of wearing for getting maximum output. Diamonds are mostly preferred with a golden ring weighing 5 carats. 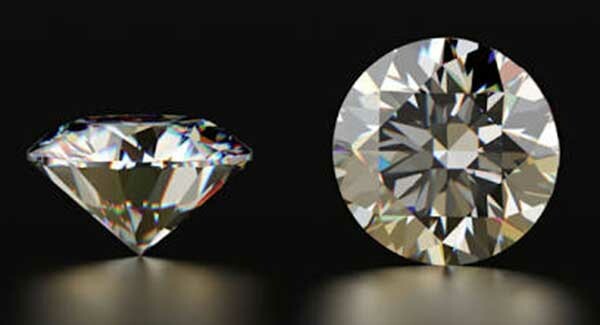 Diamonds ranging from 0.5 to 1 carat are also quite helpful as the price of the stone is way above an affordable budget. Friday morning is said to be a great time for wearing a diamond gem during Shukla paksha. Burning incense sticks in front of the gem with prayer recited in the name of Shukra deva adds more power to the gem and make it ready to be placed. It is also necessary to place the gem in pure water for around half an hour for excluding any of the negative vibe surrounding the gem. Reciting mantra, Om Draam Dreem Droum Sah Shukraay Namaah!! for 324 times is considered precious and the stone then is prepared well enough to be taken in use. A diamond when taken in use following the appropriate procedure starts giving healthy responses within a month which the wearer can easily recognize himself. Wearing diamond ring in the small finger of the right hand is helpful as described in the astrological theories. Gems look beautiful and so there prices vary from store to store. Buyer needs to be quite attentive while making purchase of any of the gemstones. 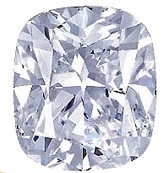 Diamonds generally are quite expensive than other gems and therefore require major attention during purchase. Diamonds these days are available at multiple stores but the buyer must go for a trustable store where the deal can be made quality assured as anyone who is paying such handsome total would demand for high quality. Cuts of a diamond gem need to be checked well for confirming that there is no scratched present on the surface. Identifying diamond within appropriate lighting gives an idea of the quality of gem and makes the customer satisfied. Proper billing of diamonds is must as any further cheat can be followed by legal action and thereby the customer keeps a chance of getting back the investment made. Carat weight of diamond must be checked as the stone costs much and so there should not be any faults made with respect to the weight of this gem. Mostly a calibrated measuring scale is taken in use for accurate weighing of a diamond. 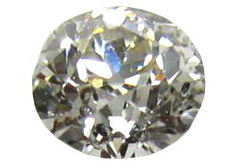 Color range of the diamond is an important aspect to be considered. A diamond in its purest form is next to colorless and holds better qualities than others. Any sort of color variation makes a huge difference in the helping qualities of a diamond. Clarity rating of diamond is must before making a successful deal with the dealer. Perfect diamonds do not carry any kind of imperfections on the surface. This is an essential point as a diamond having clarity rating very low cannot bring unbelievable outputs and therefore high clarity grading is required in case of diamonds. Cuts of a diamond cover much about its quality. A well cut diamond stone reflects rainbow colors and responds to light beautifully. Dropping the diamond in water is one of the tests for checking whether the gem is pure or not. Pure diamond usually sinks in water where as the impure one floats above. Fog test is another technique for making sure that the gem is useful. Releasing breathe on the gem will add fog on its surface due to heat and moisture. If the stone dissipates it right away then only it can be treated as a pure gem. Raising temperature of diamond does not make any difference on its outlook and if any change is being observed then the stone should be avoided quickly. The word “Diamond” roots back to Latin word “adamas”. Adamas cannot be defeated by any other thing. Brightness of the Diamond makes it different from all other gemstones. The most precious stone on earth is even used as a sign of beauty for ladies. This is also known as one of the hardest substance on earth which is used in making jewelries. Even men are overwhelmed by the luster of diamond and are having a magical effect in their mind and body. As per the astrology, diamond is not one of the astrological gemstone which is been specified as per the planetary conditions. Yet there are many situations where people have to take up diamond as a measure of corrective action. Since diamond is ruled by Venus, the wearer of the same is benefitted pretty fast. Only under the proper guidance, diamond should be used and the quality of diamond has got a great emphasis on the mind and physic of an individual. Important characteristics associated with a diamond with god quality are cut, color as well as clarity. Diamond is used as Remedy for Venus in Indian Vedic Astrology. In past times, Diamond was associated with majesty and fame, and sometimes it was taken as a cause of murders and hard luck. 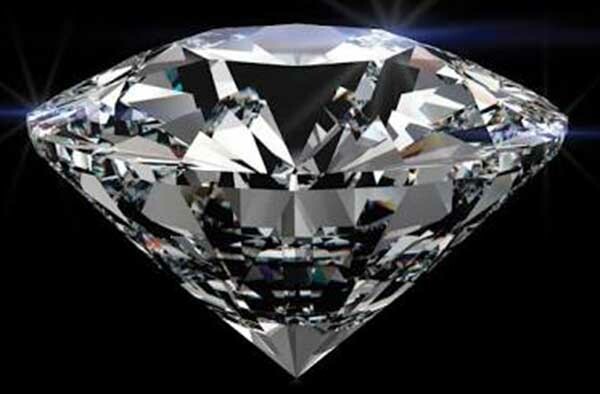 Later, Diamond was considered the reflection of God’s brilliance on this earth due to its brightness. In Indian history, it was hypothesized that wearing Diamond enables an emperor to control his subjects and implement his judgments. Diamond’s use in industries for the purposes of cutting is more vital than its use in jewelry. This is the only thing that makes Diamond superior from other gemstones. Diamond has the quality to alleviate mental stress, and lethargic feelings. • People with the profession of theatre, art, movies and drawing would get an enhancement in their talent after wearing the same. • Native would get an enhancement in physical relation after marriage and the performance of the act would also get increased. 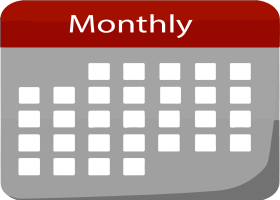 • Success would be achieved in litigation, courts and well as property matters. • General financial prosperity of an individual would be enhanced after wearing proper cut diamond. • Nutritious pacifiers for all dosha would be an act of diamond. It is a wonderful gen to cure different ailments. • Diseases such as pneumonia, gynecological disorder, bronchitis etc would be cured after wearing diamond. • Love and honesty towards spouse would be increased with the wear of diamond in any parts of body. People must avoid wearing diamond during purnima and amavasya. Beneficial p0hase to wear diamond would be during Dasami, shuklapaksha, tryodasi and saptami. • Diamond must be worn during libra and Taurus lagna. If we keep it in between the eye brows of an individual, it can be helpful in eliminating distress; moreover, it also exerts positive feeling in its wearers like feeling of enhanced self esteem and confidence. Diamond is most compatible with Leo. It is found in Africa, Brazil, Australia, Siberia in White, yellow, transparent, and brown colors. It is the hardest stone of all gemstones and can be used for jewelry and cutting purposes. Diamond is the most expensive gem available in the Market. There is a limitation in the role of diamond in the ailment of various diseases. 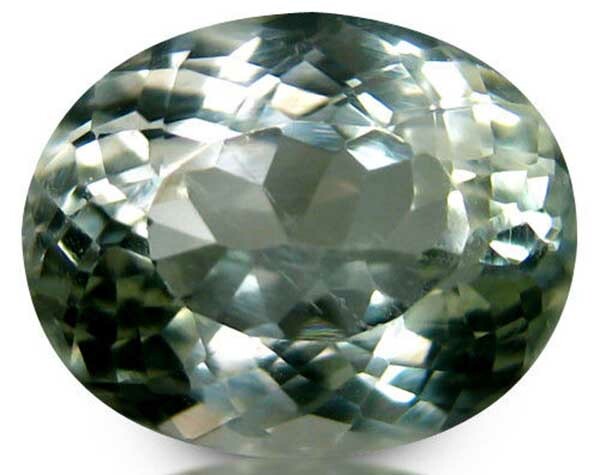 American diamond or Zircon are used by people for some sort of ailment. Even the white sapphire and American diamond is used as the substitute of real diamond. The effectiveness is almost similar with that of real diamond. But the use of actual diamond cannot provide one with any type of side effects. There is no upper range on it's price. Price depends on the color, clarity, size and sometime cut as well. For astrology requirement one can not buy a bigger size diamond due to its high cost. Indian Vedic astrology recommends wearing 30 to 60 Cents for a person. Please note that, 1 Gram = 8 Ratti = 4.8 Carat and 1 Ratti = 0.6 Carat and 1 Carat = 100 Cents. For Diamond in the range of 30 to 60 Cents are starts from Rs 450/- per cent to Rs 600/- per Cent. Good Quality Diamond with this weight Range will cost around Rs 1,500/- per cent. 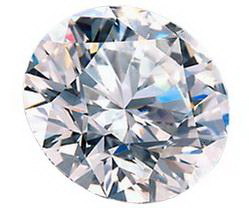 American Diamonds are equally looked well as diamond. Without consulting with an astrologer, ladies wear diamond as a jewelry item. If you have a desire to wear diamond jewelry, it is important to make the under surface of diamond close. One should not wear diamond during the period of poornima or the prathami of shukla paksha. If you can wear the gem with gold or platinum, it would actually be auspicious and good in its looks. The best suited date for wearing this diamond would be on Friday. 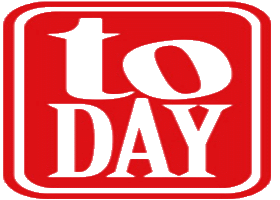 The timing would be between 10:30 – 12:00 hours.